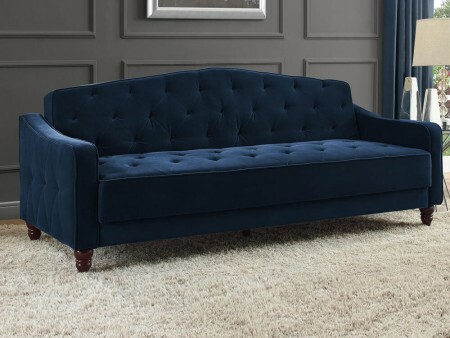 The Palmer Sofa has a luxurious retro style, blue velvet upholstered cushions and back, with a cherry wood siding. 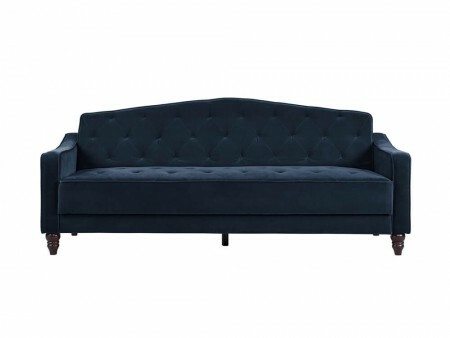 It is a two seater sofa with incredible comfort and wooden feet. 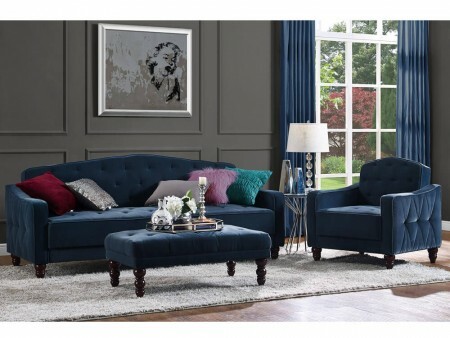 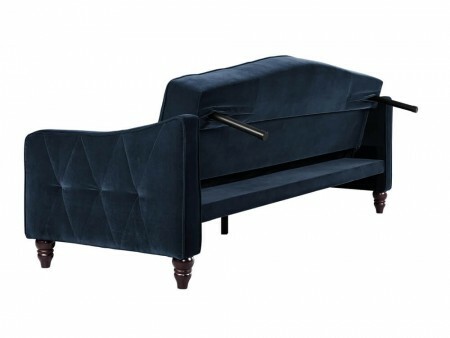 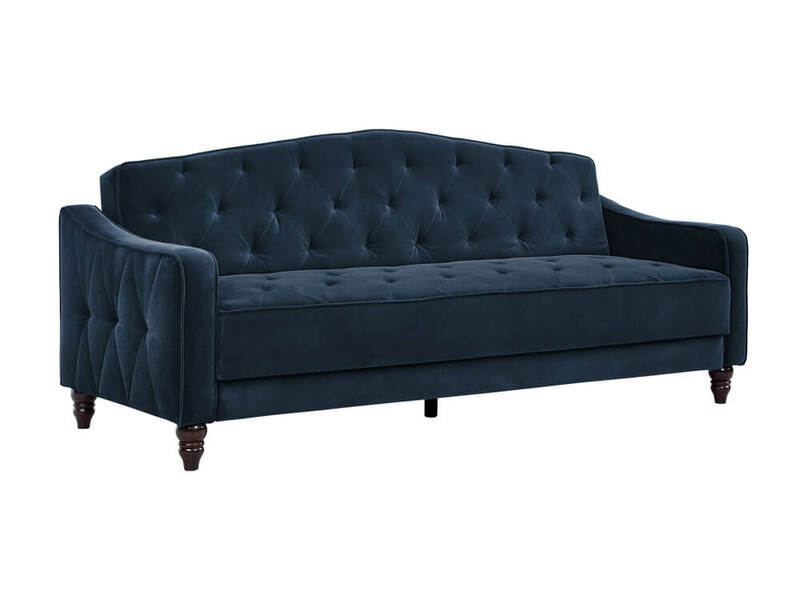 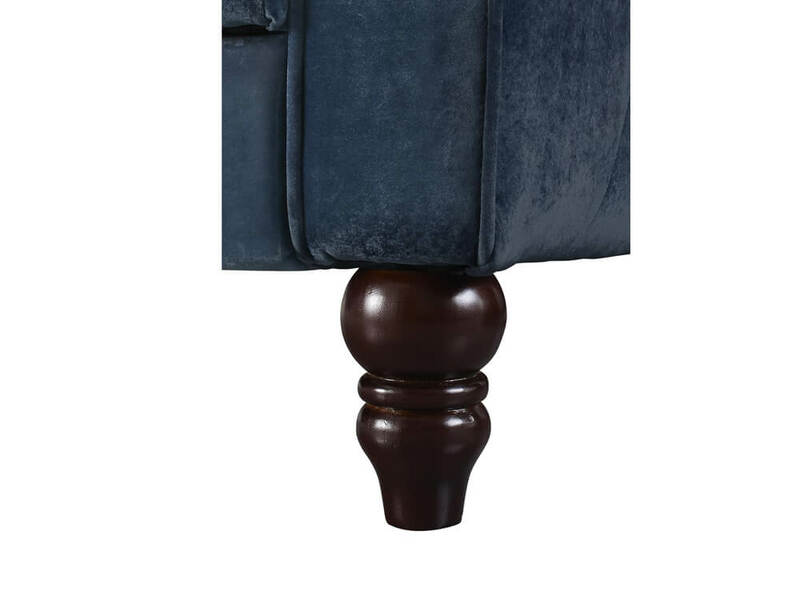 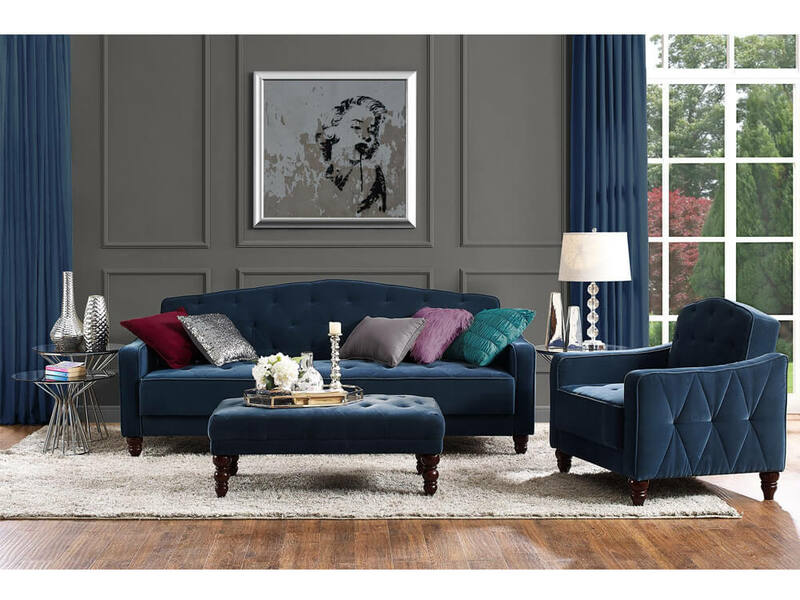 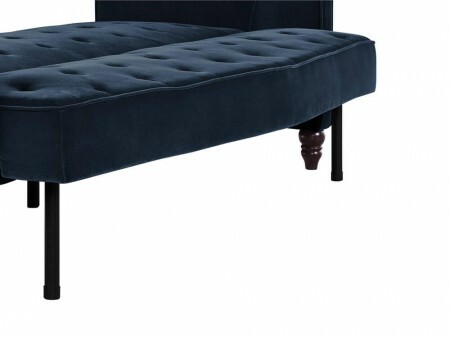 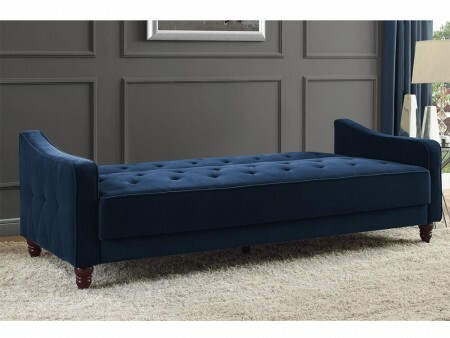 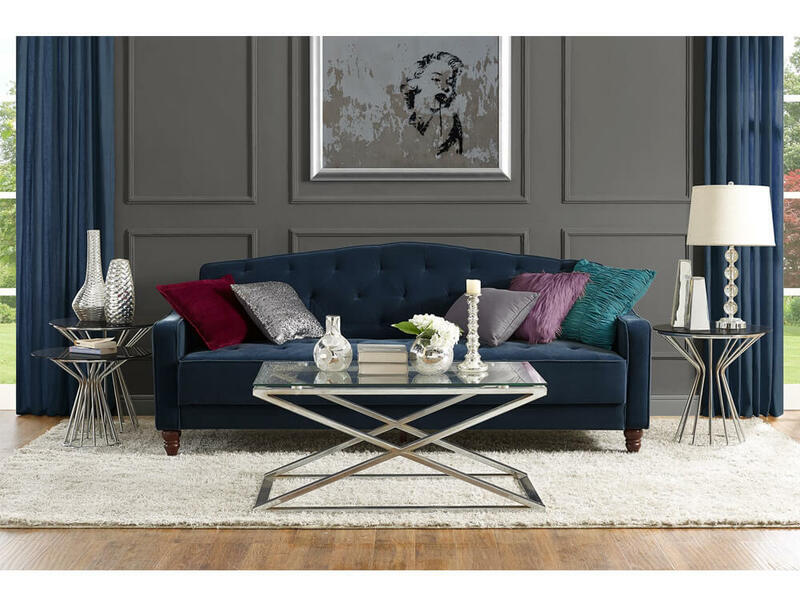 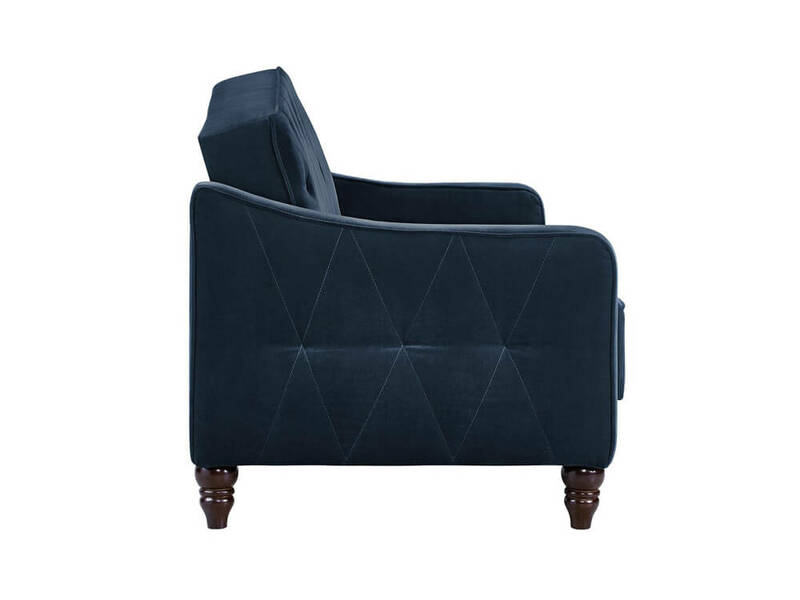 Its tufted details reinforce its elegance and would make for a great piece in your living room setting. Check out the Inhabitr Living Room Collection to match it with a great coffee table or area rug. Rent the Palmer Sofa from Inhabitr today!